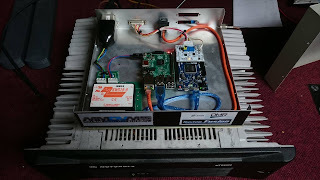 The past couple of years has seen an increase in both interest and activity in digital voice modes here in EI and with prices of tranceivers for the various modes especially DMR decreasing and a lot of rigs having digital capability more people are trying it out, with this in mind we decided to look at the latest development in digital radio the MMDVM, an open-source Multi-Mode Digital Voice Modem. This allows radios like the Motorola MTR2000 which we currently use on our analog network to be used on digital modes like DMR, Fusion, DStar and P25. 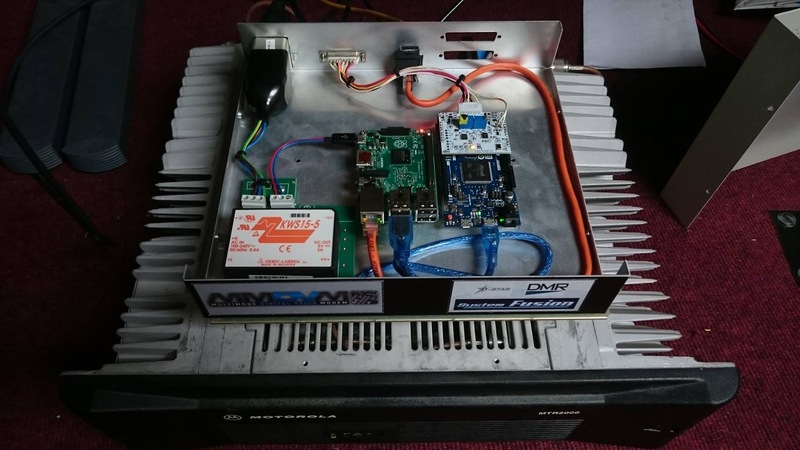 Since early March we have been busy experimenting with the MMDVM and have interfaced it with a UHF MTR2000. This has taken a few months to complete with configuring the various modes and sourcing the tranceivers to test them. In that time we have obtained a licence and location for the repeater and plan to put it into service from a hilltop site in West Waterford in the coming weeks which should provide coverage from Cork City to Waterford City. It's callsign will be EI7CDD and it will operate in modes DMR, DStar, Fusion and Analog (digital modes will have priority over analog) on 439.650 MHz with a shift of -9 MHz (DVU52) which is one of the newly allocated 70cm channels for digital voice in Ireland and the UK. We plan to post information regarding the repeater; how to access and use the various modes etc. plus some photos of various stages of the project over the coming weeks. The group's email address is sirnrepeaters at gmail dot com should you have any questions.